As spring creeps ever closer, now is the perfect time to start reassessing your garden design, ensuring your outdoor areas are primed and ready for the warmer months ahead. In today’s post, we’ll be sharing some of our top tips on garden design to give it a new lease of life with illuminating tricks that will leave you with a bright and stylish space for making the most of the sunshine. While most plants tend to hibernate over the winter months, a little bit of sunshine and warmer temperatures means it won’t take long for them to come back to life. To ensure the rapid growth of budding bushes doesn’t take over and hinder the beautiful sunshine in your garden, take the time to get pruning trees, bushes and shrubbery early on in the season. With some sharp sheers and thick gardening gloves, begin the task of taming your garden to ensure it looks neat and tidy and over-growing plants aren’t blocking out natural sunlight. Early pruning also means you’ll help to promote new growth, creating fuller more attractive foliage in the process. If you love nothing more than soaking up the sun or enjoying al fresco dining on balmy evenings, then creating a stylish patio area is a must and can be perfected with the right small garden design. Switch out tired, dirty paving slabs or decking for sleek outdoor tiles in soft grey tones or beige to deliver a light and modern aesthetic. 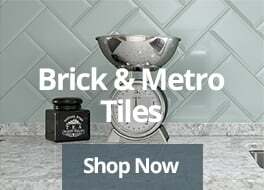 With their smooth surface and pale palette, you’ll instantly see the difference in tone, while also enjoying a durable and low-maintenance flooring solution. You can even use garden tiles on walled areas to create the illusion of space in small gardens or simply as a decorative feature. If you want to use your garden after dark, then having garden lighting is essential. However, we’re not talking about your standard security lights that illuminate the whole garden to deter intruders – they hardly set the mood, do they? Instead, we’re talking about using low-level garden lighting ideas to achieve a magical atmosphere that’s both practical and stylish. With outdoor lanterns, fairy lights and candles, it’s easy to design an outdoor haven for relaxing and gazing up at the stars once the sun goes down. With a huge choice of outdoor lighting available, you can decide whether to hook it up to your mains supply or opt for solar-powered alternatives. The former is often a better choice for areas where you need stronger illumination for pathways and dining areas. 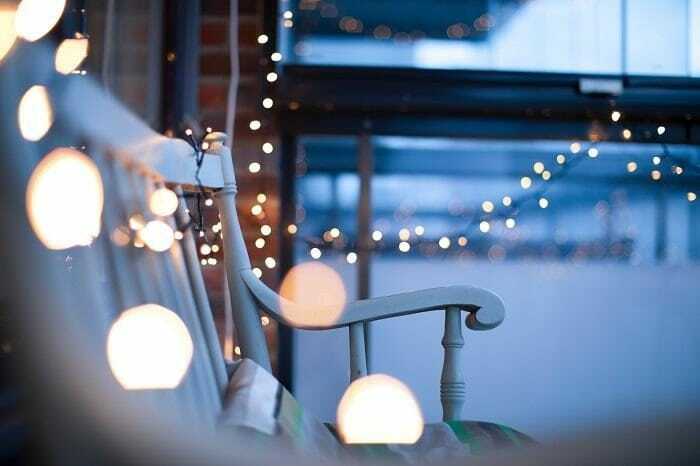 However, to create a truly mesmerising mood, the soft glow of solar-powered garden fairy lights, lanterns and flickering candles will deliver a more rustic feel. When positioning light sources, it’s often a good idea to experiment beforehand to ensure your garden fairy light ideas work where you want them to be. This is where portable light sources like solar fairy lights and lanterns come in handy as you can shift them around easily to make sure you get the perfect level of mood lighting. Nothing works better than a splash of colour to illuminate and add character to an area and in your garden there is a myriad of choices for embracing colourful accents. 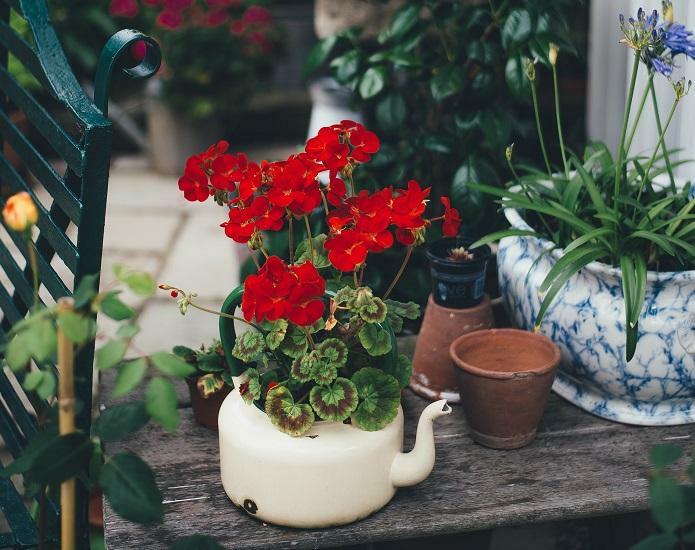 From floral displays in vibrant shades to quirky pottery, brightly painted furniture and coloured lighting, allow your creativity to come to the fore when it comes to accessorising your garden. Whether you mix different coloured flowers or breathe life into old garden benches with a fresh lick of paint in a striking hue, the stunning combination of different textures, colours and decorative pieces is a wonderfully playful way to light up your garden. From palatial lawns to cosy yards, we hope this post provides you with plenty of inspiration to create a beautifully bright and illuminated garden for you to enjoy this summer and beyond. 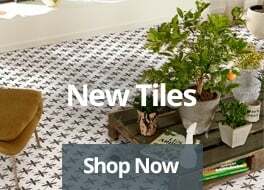 To get your creative juices flowing today, take a look at our fantastic choice of garden tiles that are the perfect addition for luxury-styled patios and pathways.